You’re invited to attend a Rhode Island Department of Transportation & the City of Pawtucket/City of Central Falls Public Meeting concerning the future Pawtucket/Central Falls Commuter rail station! 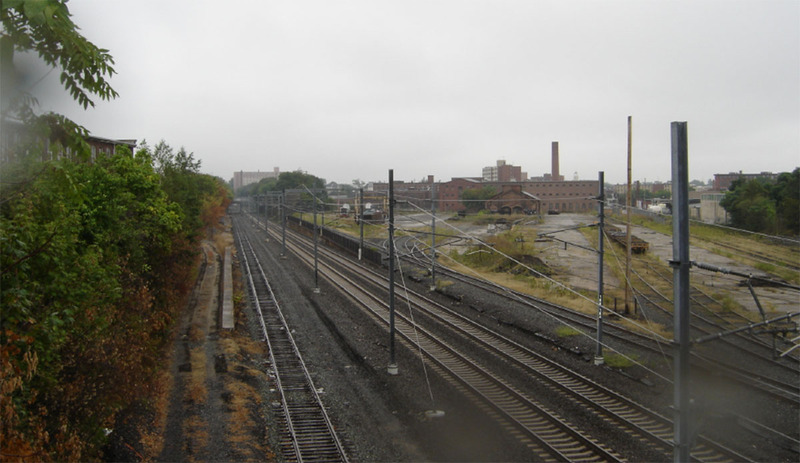 The Rhode Island Department of Transportation (RIDOT), The City of Pawtucket and the City of Central Falls invite members of the community to attend a meeting to learn more about a potential Pawtucket/Central Falls commuter rail station. Officials will provide an update on the project and outline next steps for the potential station, which is proposed for the Massachusetts Bay Transportation Authority (MBTA) Providence Line. The Blackstone Valley Visitor’s Center is located at RIPTA’s Pawtucket Transit Center and is accessible to persons with disabilities. Spanish translation services will be available at the meeting. Individuals who do not speak the English or Spanish languages or who are hearing impaired may contact RIDOT on or before January 19, 2015 to request an interpreter. Please direct interpreter requests to customerservice@dot.ri.gov or (401) 222-2450. Si esta información es necesaria en otro idioma, llame al (401) 222-2450. Se esta informacao e nevessario emu ma outro lingua, contate por favor (401) 222-2450. This is exciting! I’d love to see additional stops on the new Boston Surface line in places like Albion, Valley Falls (with a potential link to East Providence/East Bay). The ability to link these communities and truly make them accessible to Providence would mean huge property value increases, decreased traffic congestion, positive impact on the environment, etc. Connecting communities outside Providence to the downtown has the potential to bring more traffic and commerce to the city. Good they made a big mistake opening the wickford train staion because its in the middle of the nowwere there is no trains EVER . so they might as well reopen the historic pawtucket centralfalls train STAION because of MCCOY BASEBALL TEAM it would do so well that amtrak could ever run there trains there it whould be SO GOOD!!!!!!!!!!!!!!!!!!!!!!!!!!!!!!!!!!!!! Thing is, if you look at history, a lot of railway stations were built in the middle of nowhere. Looks at pictures of the Bronx and Queens at the turn of the century. IRT and BMT stations had nothing but open land surrounding them. The difference is that that land was filled in by dense development which encouraged the usage of these rail lines, whereas the chances of similar development around Wickford Junction is 0.00000001%. Central Falls not having its own train station is kind of ridiculous. It is so densely populated and a good amount of the people living there are below the poverty line. Providing them some economic mobility to take a better job in Providence, or some other location off the rail line would help many people. 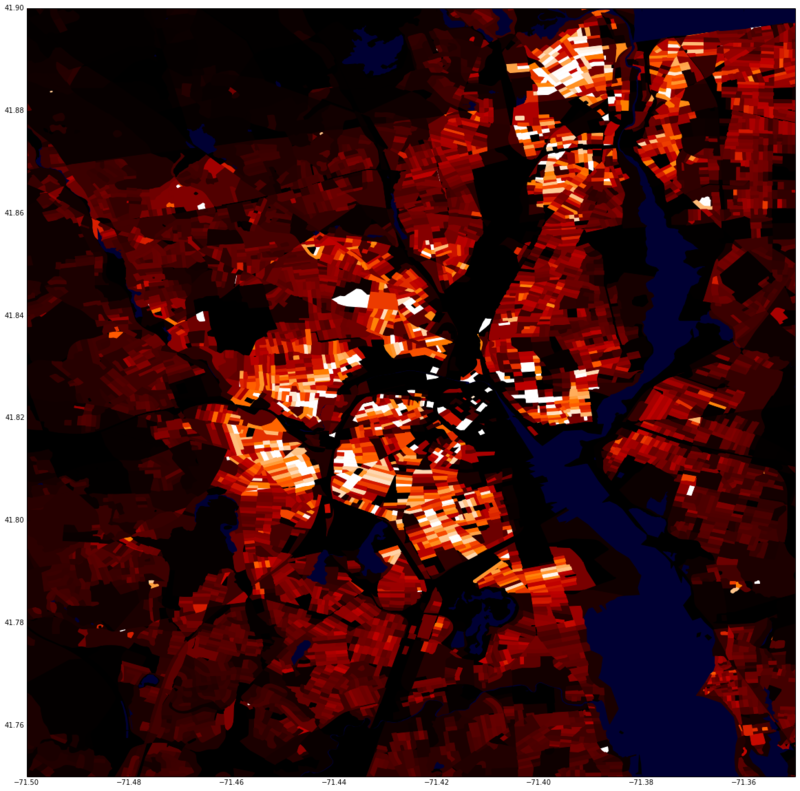 Additionally, it will make Central Falls areas within close proximity to the station much more desireable to live. The Valley Falls station(s) which were once located on the border of CF/Cumberland had a rail line to East Providence too. I feel like this should be considered when the RI Rail is being discussed. You could run the line down the rails from Valley Falls all the way to the Henderson Bridge with the current rail right of way, and a small expansion could take it down to the 195 bridge. This line is walking distance to McCoy Stadium too, although it’s technically out of the way since the Seekonk River separates Providence from the stadium. Either way, this line would reduce congestion on Newport Ave. Which is a nightmare. There is probably no need for a Valley Falls station, since a Central Falls station could be walking distance. But, a CF/Pawtucket station would make it harder for people living on the Cumberland side of CF to utilize it. It’s just too far. I envision a healthy RI rail system… Woonsocket, Albion, CF, Pawtucket, PC/146/Douglas Ave, Providence, Olneyville, Park Ave/Roger Williams Park, Warwick, EG, Wickford, Westerly. Personally, I’d like to see a spur connect to JWU Harborside campus at Roger Williams Park station — connecting PC and JWU Harborside to Downtown Providence should be a priority. It also taps into existing demand and potential demand from those schools locating more operations downtown, mainly PC. PC could join RISD, URI, Brown, JWU, CCRI, and now Roger Williams as colleges having a downtown presence. Love it or hate it, these schools create a good amount of the foot traffic during the academic year. It should be easier to get to these campuses to enjoy their venues, as well, for sports events or other trade shows/gatherings.
. If the pic doesn’t make sense, I can upload a zoomed/annotated version. For those interested in RI rail issues, please note you are invited to attend the RI Association of RR Passengers meeting at 5pm on Monday, June 15 at the Rochambeau Community Library on Hope St in Providence. RIDOT Deputy Director Peter Garino (who previously served at NJ Transit) is a guest. Topics include updates on the PVD Station project, Amtrak funding, and the Kingston third track, Pawtucket Station, RIPTA-MBTA coordination, and maybe the rail portion of the Governor’s “Rhodeworks” intiative.